We’ve travelled through 35 countries and kept to a very typical backpacker budget in all places. We thought we’d share with you our individual cost summaries for every country we’ve visited along with a quick breakdown of expenses. 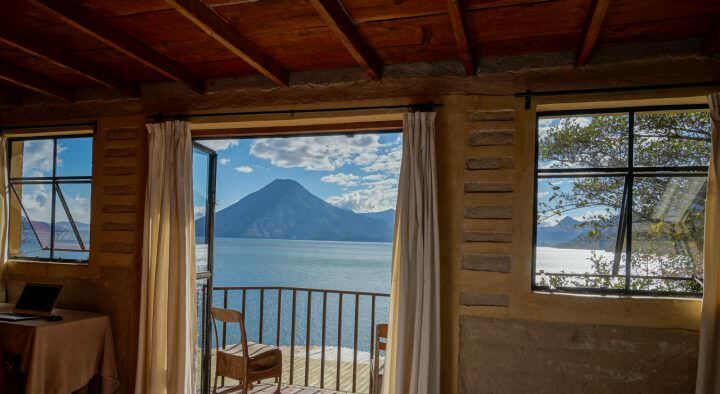 We have a very comfortable travel style, but we always opt for the cheapest double private rooms and we allow enough extra funds for excursions, but none that seem to be poor value for money. We drink beer regularly but hardly ever party at night clubs. We eat locally 90% of the time but splurge once in a while for western food. We rent motorbikes and even cars in some countries if it means gaining a better perspective of landscapes and cultures. If you travel like this, then this list could be immensely helpful in planning your next trip to one of the following countries! All costs below are for 2 PEOPLE and include visas to enter the country, but do not include transport in and out of the border (ie: international flights) unless otherwise stated. Rent A Motor Bike In Thailand! 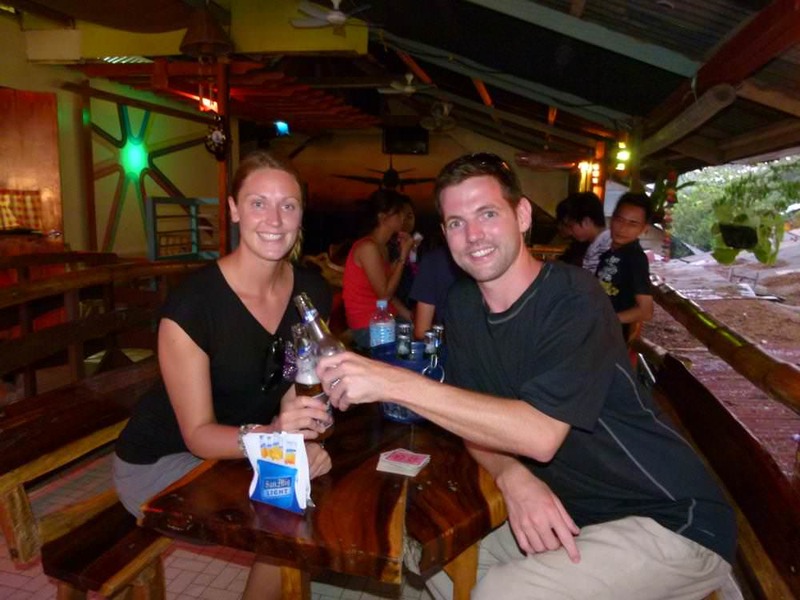 Thailand: ($50/day) This is a great budget for Thailand. Sleep in nice, fan-cooled beach huts, have a few beers at sunset, enjoy a western breakfast once in a while but mostly stick to delicious Thai food and every week or so you can go out and have a Mai Tai party night. This will also get you into some temples, cover transportation in nice buses, boats and planes (boat/bus combo transport averages $0.95/hour). To save money, buy all of your beer and breakfasts from 7-11 or a small shop instead of in restaurants. Eat at small locally owned restaurants and don’t blow all of your cash on party nights… you can do that at home! Cambodia: ($45/day) Here you may get by on a little bit less than Thailand but much of the above budget will be exactly the same. Keep in mind that you will likely be using American Dollars here as well as Reil. The reason you may save $5 off of your daily budget is that the rooms in Cambodia can be a bit cheaper. During your stay around Phnom Penh, the Killing Fields and Angkor Wat you may spend a bit more money, but trust us, it’s worth it and it all evens out in the end. To save money, bargain for everything and try to get long-stay discounts on your rooms. Laos: ($55/day) Surprisingly, Laos is slightly more expensive than Thailand. Rooms will cost you a bit more and for some reason so does everything else. The Southern regions of Laos have a tendency to try to “out-do” their tourist crazy neighbour and their prices reflect this. But Laos is worth every penny. Still giving you great value for money. To save money, eat locally and rent bicycles to tour villages instead of paying a guide. 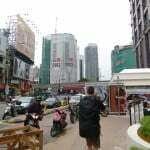 Vietnam: (Est $45/day) This budget will get you into some pretty nice rooms in Vietnam. The value for money here is great. Nice a/c hotels with wi-fi and a pool will probably only run you about $10/nt. Delicious phu (local soup) on the street will be around a buck and the transportation is great. The cost of renting motorbikes is also very affordable and we would recommend it. Also, if you’re into tours, you can get some great deals out of Ho Chi Min City going down into the Mekong Delta. To save money, skip tours. Rent a motorbike and visit the sites yourself. Malaysia: ($40/day) In Kuala Lumpur this budget would be difficult (probably add $15-20), but the rest of Malaysia is great value for money. 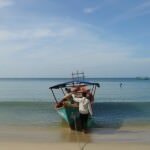 Comfortable rooms for under $10, cheap flights to anywhere in Southeast Asia, amazing food for a buck or less and great buses at great prices! Just keep your hands off of the alcohol if you want to keep to this daily amount as beer in this Muslim country will rack up your budget quickly. Compare alcohol prices to North America ($4-5/beer) unless you’re on duty-free Langkawi Island where you can get that down to less than a dollar. To save money, feast on delicious Indian thalis and roti cannai for under $2. Singapore: (Est $75/day) Wow! Get your wallet ready for Singapore and don’t come here during F-1 races or festivals if you want to keep this budget down. It is possible to live off of $60/day in Singapore but this is a big, exciting city. There’s no point in coming here if you’re not going to sample the night life, see some sights and indulge in some amazing cuisine. Keep in mind that rooms will be at least $40/nt and taxis and transportation are comparable to western prices. You can hit up China Town or Little India for some cheap(er) beers and food. To save money, stay in a dorm and eat/drink around China town. 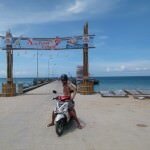 Indonesia: ($30/day) This is a bare minimum but still includes money for beers (delicious Bintang), local transport, basic huts and the odd snorkel or jungle trek. Indonesia is incredibly cheap and really sets the bar for the rest of Southeast Asia. Not only is it great value for money, but you still get to see and do all you would expect while keeping to a very low budget. Visit the Komodo Dragons, trek volcanoes, surf in Bali, hike into the jungle and see orangutans. It’s all at your fingertips and in your wallet when you’re travelling here! To save money, find out the EXACT price of transportation before leaving your guesthouse (otherwise you’ll pay triple the local fare). Fishing Friends at Inle Lake, Myanmar. 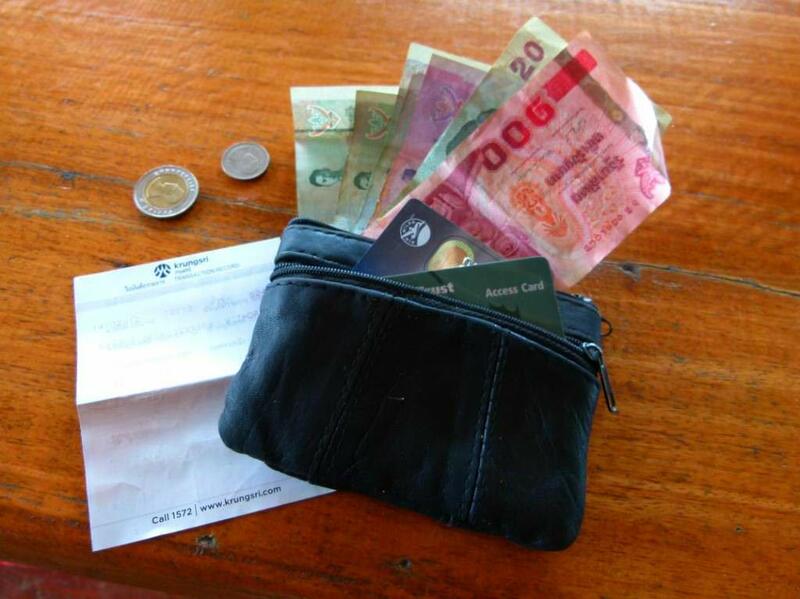 Myanmar: ($50/day) This budget will be rising with each passing day. Myanmar is quickly becoming a tourist destination and while it still remains cheap today, be aware that swarms of package tourists are beginning to descend on this tranquil paradise and their presence is driving the prices up quickly. However, it’s still a great budget destination. 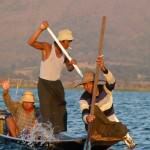 Hire a boat for the day and see Inle Lake for less than $15/person. Beautiful rooms for under $20/nt and great food for around $3/dish. Of course it’s not the cheapest place in the world, but it is great value for money and worth every penny. To save money, avoid tours and walk around towns and villages at your own pace… for free! Leaving The Big Lagoon. 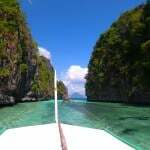 Island hopping around El Nido, Philippines. The Philippines: ($55/day) This includes a few domestic flights (pretty much mandatory), some San Miguel beers, cocktails at sunset and nice (but basic) double rooms on the beach. The Philippines is extremely cheap, but the transportation (mainly flights and ferries) will bring your budget up substantially. Alcohol is cheaper than anywhere else in Southeast Asia. If you just stay on one beach and bum around, a couple can probably get by on $25/day. Amazing! To save money, travel slow and get long-stay discounts on your beach huts. Borneo: (Est $60/day) This is strictly referring to Malaysian Borneo which is considerably more expensive than mainland Malaysia. This budget will get you a double room, local meals, transportation by bus and entrance to some of the less popular national parks. If you want to climb Mount Kinabalu, see Mulu Caves, the Pinnacles, dive Sipadan or anything else, you’ll definitely have to up this budget. Many travellers leave Borneo disappointed when they realize that they could only afford to do one excursion. Climbing Mt.Kinabalu alone will cost a couple around $500! Other sights are comparable in price. To save money, only go to affordable national parks and consider renting a car instead of going on a tour (it’s a better deal sometimes). India: ($30/day) This budget is scraping by pretty low in India, but that’s what travelling here is all about! It allows you to take cheap sleeper class trains, stay in clean-ish double rooms and eat delicious Indian food 3 times a day. You could double this if you want to stay in nice doubles and take the (much more comfortable) A/C class trains. At $30/day there’s also room for some excursions, like camel safaris, house boats and visits to the Taj Mahal. There are few places on earth that are this good of value! 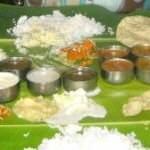 To save money, opt for cheap trains and buses between cities and look out for all-you-can-eat Thali meals ($1.50+)! Sri Lanka: ($40/day) You get a pretty comfortable lifestyle for this cost in Sri Lanka. 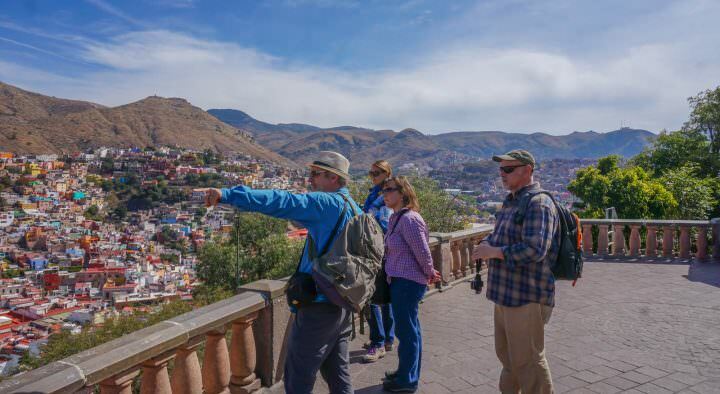 It allows you to eat locally, take cheap buses between cities and do some great excursions and hikes. Food here is considerably more expensive than in India and not as readily available in restaurants. The cost of accommodation along the southern coast is a lot higher than elsewhere in the country. To save money, bargain for your rooms and take local buses everywhere. England: ($87/day) This is an expensive country and we were lucky while we were here to be able to stay with friends the entire time. If you have to pay for dorm beds during your stay, add at least $25/day. At this budget you’d be scraping by, but you’d have enough for the odd visit to a pub as well as entrance to Stonehenge and other major sites. Transport is comparable to other western countries but the visa is free. To save money, eat at Weatherspoons pub and try to cook your meals for yourself. Spain: (Est $100/day) Spain is another country that isn’t really budget-friendly. The visa is free, but food and accommodation is very expensive. To save money, stay in dorms and take local transport. Keep your eye out for tapas meals and specials on alcohol when you can get a bottle of wine for €1! Morocco: ($56/day) Prices in Morocco vary greatly between cities. Major cities are considerably more expensive, but the country is still very affordable on the whole. 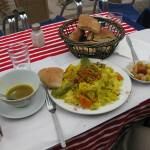 You can get great tajine meals for under $5 that often feed two people. The coffee here is very cheap ($1), but dangerously addictive and 2 or 3 cups a day can drive up your costs. Double rooms average around $20/night. 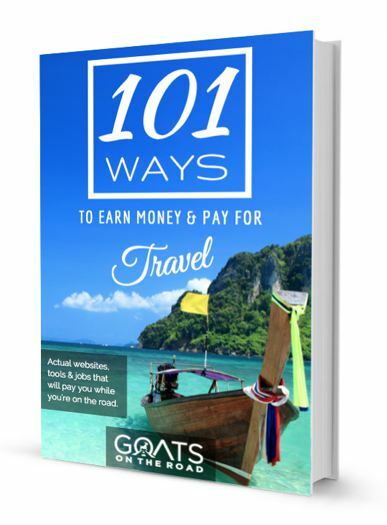 Transport is cheap and the visa is free for most nationalities. To save money, don’t go to markets in big cities and try to bargain for your room costs. Egypt: ($40/day) This will get you your $15 entrance visa, all transportation, admission fees and strictly Egyptian cuisine. If you dive then you’ll have to add onto this number. Sites are of great value in Egypt though. The admission to the pyramids is just $12 and the valley of the kings is a bit more. Double rooms average $14/night and delicious meals can be had for $3 or less. Transport is a great value and excursions like sailing the Nile and visiting Abu Simbel can also fit into this budget. To save money, make friends with locals and get invited in for free dinners/lunches! Lebanon: ($74/day) Lebanon is not a cheap country so this budget is really just scraping by. Aside from a rental car (essential) and a couple of Starbucks lattes, there really isn’t much luxury at this level. You’ll have to sleep in a pretty dingy double room ($22/nt) and eat cheap local food. The car rental is an expense at $29/day, but you can drive around and see all the sites in the country in just a few days. The visa is free and gas is around $1.50 / litre. To save money, share the rental cost with a couple of other travellers. 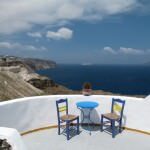 Greece: ($111/day) While Greece is by no means a budget destination, you can find some amazing apartment deals on Booking.com ($20/nt)! This budget is eating mostly home-cooked food in your apartment as Greek food can be quite expensive. You can have plenty of delicious gyros and kababs at this price though and it allows for a nice, vacation-esque lifestyle. It includes one car rental (which is essential in Crete – €20/day) and plenty of wine (€1+) and cheese! The expensive ferries will really get you here (€37-55 each). The visa is free. To save money, cook your meals in your apartment. Turkey: ($98/day) We travelled around a lot while we were in Turkey and the cost of long distance buses every day really added up (avg.$3/hr). Rooms weren’t cheap in Turkey averaging around $28 and good Turkish meals are often around $5… but well worth it. This budget includes some excursions but nothing too crazy like a €200 hot air balloon ride over Cappadocia. The visa costs Canadians €45 but the sites are a great value outside of some mosques and hammams in Istanbul. To save money, try hitchhiking sometimes! Georgia: ($108/day) This budget is really just for the capital city. 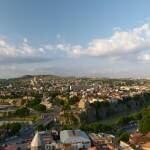 The rest of the country is considerably cheaper but we only had a few days here and we stuck to stunning Tbilisi. Our room there was $50/night with A/C and breakfast included. Meals are expensive (around $10) but very delicious. This budget includes transport to and from Turkey ($50/person/way) and plenty of beer. The good thing about Tbilisi is that the main draw is walking around the beautiful streets which is always free! The visa is free for 30 days. To save money, sample free wine at different wine shops around town! Armenia: ($88/day) As with Georgia, this budget is strictly for the capital city of Yerevan. A room here will be at least $30 and while you can get some cheap-ish street snacks, meals will generally cost you between $7-10. The visa is just $10 for 21 days and transportation between here and Georgia is reasonable. To save money, avoid taxis and try to figure out the bus system. Spend your days wandering around town on foot and eat local snacks along the way. South Africa: ($119/day) This budget may seem very high but it is the perfect budget for South Africa. It includes the essential car rental for the duration of your stay. It also includes gas, accommodation in the cheapest (but beautiful) double rooms and entrance fees to the major sites and national parks. At this budget, expect to cook 90% of your meals yourself, but you’ll have plenty of money for wine and beers. 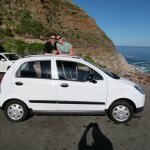 You could get by on a bit less than this without the car, but the transportation in S.A is not ideal and after taxi costs to your guesthouse, it’s often more than a car. The visa is free for 90 days. To save money, eat boerewors (South African sausage) and buy your groceries at Pick’n’Pay. 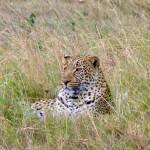 Swaziland: ($94/day) This budget also includes the car rental from South Africa as well as gas. It will get you in to the country’s best national parks and self-cooked meals. To save money, spend a lot of time at Milwane Nature Reserve where you can stay on the grounds of the park in a funky rondavelle for $39/night! Wake up to warthogs and antelope grazing at your doorstep. Mozambique: ($97/day) Many people are surprised at how expensive Africa is. This Mozambique budget is about as cheap as you can go, while still enjoying this incredible country. You can squeeze in a few dives and snorkels with whale sharks, stay in funky (but cheap) beach side accommodation and eat local food in restaurants 3 meals a day. It also includes the expensive entry visa ($108 for 60 days). Taking local transport is uncomfortable and surprisingly expensive. To save money, try hitchhiking and if you must take long distance chappas (minibuses), make sure you find out the local price before leaving your guesthouse… otherwise you’ll likely pay double. Malawi: ($61/day) A refreshingly affordable African country, Malawi will be the one place you visit in eastern Africa that seems properly priced. Rooms will average around $15/night and food is affordable. The visa is free for 30 days and you can get around relatively comfortably transportation is very cheap at $0.79/hr. 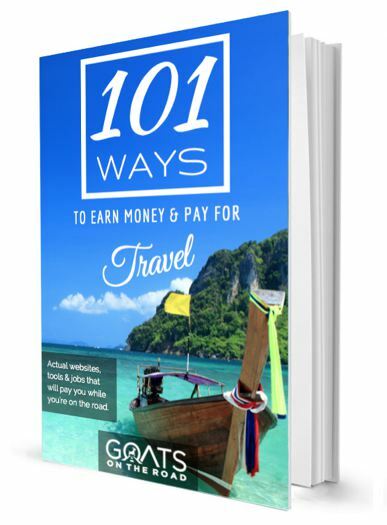 You can save money here by not staying in places that are listed in the Lonely Planet and like most African countries, know the cost of everything before you buy… including transport. Tanzania: ($66/day) Transportation here is good value ($1.75/hr) and you’re less likely to get ripped off. Rooms average around $17 a night but are expensive in Zanzibar (min $30). The visa is $50 for 60 days and if you want to go on a major safari, you’ll have to add that on as this won’t even come close to covering a trip to the Serengeti. To save money, bargain for everything and keep your eye out for cheap, street-side chicken joints. Kenya: ($92/day) This budget won’t get you into the Masai Mara ($1500 for 2 people on 5 day all-in tour) but it will allow for comfortable travel days and trips up the eastern coast to Lamu. The visa here is $50 for 30 days multiple entry. Rooms will average around $18 while transport will run you about $1.10/hr and food is a good value at around $5/meal. To save money here, book your safari with Budget Camping Kenya and create your own walking tours around towns and villages. Nepal: ($54/day) Includes the visa ($40 for 30 days) as well as all permits and equipment for the Annapurna trek. Our average cost while on the trek was just $37/day including food (lots of Snickers bars) and accommodation. Room costs in the major Nepalese cities average around $9 while rooms on the trek will rarely cost more than $4! To save money here, look for free rooms on the treks. On the Annapurna circuit, you should be able to sleep for free just about everywhere, but expect escalated food costs the higher you go into the Himalayas. Hong Kong: ($110/day) This country is by no means cheap. A closet-sized double room with private bathroom will run you about $40/night while food is comparable to western costs. There’s no need to purchase a visa here and transport to and from the airport is a pretty good value. The metro connects much of the country’s islands and is also surprisingly cheap. To save money here, avoid taking taxis, eat at local street joints and Subway restaurants (sub of the day), and avoid the temptation to eat at fancy restaurants (well maybe treat yourself at least once). China ($80/day) China is a great value and the hostels are amazing! The average cost per night is about $30 but they include perks like free breakfast and dumpling making nights. The visa will run you about $70 and transport on slow trains averages about $3.50/hr. Considering the long distance travelled, even the bullet trains are good value at around $7.19/hr. Taxis are amazingly cheap and reliably honest. To save money here, take slow overnight trains and always eat locally. Beer is cheap ($0.30/650mL) and you can rent bicycles to get around in some villages. Also, try to use your driver’s licence or ID card when there are student discounts… surprisingly this usually works. Mongolia ($79.41/day) Including a Gobi Desert trip and nice double rooms. Kyrgyzstan ($63.45/day) This budget bought us numerous treks and tours with CBT as well as nice double rooms and the odd shared taxi. Tajikistan ($96.10/day) This is including a two-week trip in the Pamir Highway where 4 of us shared a private driver for the entire time. It also includes Doin’ it up in Dushanbe! Uzbekistan (Est: $70/day) This was with all shared taxi transport and entrances into major sites (which add up quickly). We also stayed in nice budget double rooms. Turkmenistan (Est $130/day) We were forced to stay in a room for $100 / night in the nation’s capital because everything was booked for the holiday. Expect to spend around $80 min for two people in Turkmen. Iran (Est: $60 / day) Iran was very good value for money when we were there because the rial was not very strong at the time. We enjoyed private taxis, first class buses and beautiful budget double rooms as well as great food. We did have free accommodation for 4 nights but a couple could easily do Iran on $50 / day. Mexico (Est: $60/day) We lived it up pretty well in Mexico but we didn’t travel around very fast. This budget is just for the Yucatan and Chiapas as we didn’t venture further north (yet). Long distance buses are expensive so if you travel fast, this budget will go up quickly. Grenada (Est: $125 / day) This is a complete estimate as we are house sitting in Grenada and don’t pay accommodation. Given the fact that the cheapest hotel room on the island is around $50USD/night and meals are $10USD+, we figure a couple would need AT LEAST $125USD/day. St.Vincent & The Grenadines (Est: $150 / day) Our entire 3 week trip through SVG was press related so we’ve tallied an approximate budget for travellers staying in the cheapest possible rooms ($60 avg) and eating the cheapest meals ($10USD). SVG is not a cheap place to travel. Dinner menu meals are almost all over $20USD so you’ll have to hope you can order lunch for dinner if you want to stay under $150/day for a couple! Of course you can save big bucks by camping on beaches and cooking for yourself. As you can see, our costs vary greatly between each country. In countries built for budget backpackers, we live the minimalist lifestyle, while we sometimes splurge in developed nations. We definitely consider ourselves budget backpackers but we pride ourselves in never skimping on the good stuff! If you agree or disagree with these numbers, or want to suggest an update, leave a comment below. We’d love to hear from you! This article is extremely useful! I have to agree, Philippines is cheap but because it is an archipelago, flights will bloat your spending. But there are alternative to flying–the country has a great network of ferries that go to the main port of the different islands, though of course these are not as comfortable and fast. I am also happy to learn that Egypt is dirt-cheap. I will be visiting Egypt in august. When did you guys go to Egypt? We were in Egypt in April/May and it was great weather. It’ll be hot in August, but you can always cool off in the Red Sea. It’s one of our favourite countries, enjoy! Great article, may be extremely useful. I live in England though, so am trying to base our shorter holidays on flight cost plus living… Eastern Europe seems to be the way to go! Interesting, I was curious as to just how expensive Africa is, and great to know the average costs of Georgia as well, it seems like a beautiful country! Great, glad we could help! Africa can be inexpensive in some parts, but it was definitly more expensive than we hoped it would be…however, it’s worth every penny 🙂 Georgia is a great country as well. Guys, you are just amazing! Real budget travelers, that’s what we love! Seems like India is the cheapest one 🙂 can’t wait to get there! Thanks Agness! Yep, we try to make our money go as far as we can! India is definitely cheap…there are options for more upper-class travel and there are different types of trains you can take, so it can be a cheap as you want, or as comfortable/expensive as you like! When are you guys going? Posts like these are invaluable when planning, I love all the detailed information – especially helpful since you’re traveling as a pair instead of solo like many other daily-budget posts I’ve seen. Any tips on best way to find cheap rooms? Did you search online, find them on the spot without any pre-reservations, etc? Thanks for the comment! We’re glad we could help out. When looking for a cheap room, it really depends on which country we’re in. For the Middle East, Africa and Europe we book our rooms ahead of time using Booking.com or Booking.com or Hostel World. The rooms on these sites are almost always the cheapest and other travellers’ reviews can be a useful tool. In SE Asia/Asia you can book rooms ahead using the same websites, or, you can look for a room when you arrive. There are many rooms available in Asia. Finding a room when you get there can be a good thing because you can bargain for the room price, actually see the room in person and there are many there that aren’t on the website. In Vietnam, Thailand and Cambodia for example, there are guesthouse owners waiting at the bus, train station or pier to offer you a room. We’ve gone with them sometimes and ended up staying in some great rooms with kind owners. Sometimes the guys at the bus stop get a commission, but it’s small and if they’re offering the cheapest room then why not take a look? This is really useful and it lines up well with the places I’ve highlighted as the best values in the World’s Cheapest Destinations book. I keep telling people Africa is no bargain and most don’t believe me—until they’ve been there. Cheers for the comment Tim. I am curious about when you were in Myanmar? I found rooms to be more expensive when I was there in Feb-Mar. curious to see how quickly it increased! Also, do you have a recommendation for a hostel with a private room in Singapore? Heading there in a few weeks. Other than that, thanks so much for sharing all of this info! Ya, I’m sure the cost of rooms in Myanmar are increasing as I write this. 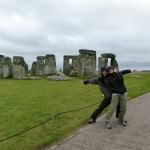 We were there in January/February of 2012. Our room costs were between $12 and $19 USD for a double. I’m so sorry, I don’t remember the name of the Hostel we stayed in…we were there in 2009 during the F-1 racing (didn’t plan it that way though!). I do remember that our double private room with shared bathroom was $45/night, which seemed outrageous having just come from a hut in Indonesia that was $2/night – seriously. Funny! Our last time in Singapore was in 2009. We arrived the final night of the race, at 2am, slept in the airport and checked into our hotel around 9am. We used points for the Sheraton at the time, but we are running out of points this time! What a coincidence. Wow, the Sheraton, that must’ve been nice! We were in a very full hostel. Check out HostelWorld for places to stay, there are some nice ones in Singapore. Awesome information on budgeting! Just wondering the budgets you had per day – are they per person or per couple? The budgets are per day, per couple. Sorry…we didn’t make that clear enough!! Super super helpful post! Just seeing it now!! Thanks Hannah, glad we could help out. Sadly Europe is expensive but I had no idea the UK (our home country) is cheaper to visit than Spain, really interesting article! For us, the UK was cheaper because we were able to stay at our friend’s homes. If you had to stay in dorms, you would have to add on about $25/bed to that budget…meaning travelling in Spain would be cheaper! Even though Europe is expensive, it’s a great place to visit and worth every penny. This is a great adventure, hope you can visit every single corner of this planet and share it with everyone. I live in Shanghai and I have to say that your budget for China seems a bit high especially when I compare it with Hong Kong. 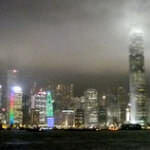 Hong Kong is more expensive than Mainland, much more, and I think that 80USD for China is a high budget. You can have very cheap accomodation, and let’s say that eating local food can cost you as little as 1.20USD/day…even in Shanghai, a bit city. Hello Laura and thanks for the comment! Yes China is very cheap. We live in Yangzhou, China and it’s very inexpensive to live here and eat cheap meals, but when travelling around China the costs add up. Long distance trains are expensive and entrances to some sights are very high. This budget includes travelling on long trains every few days, staying in budget double rooms and seeing the major sites. Also this is a budget for two people ($40/day) and we like to travel comfortably and not scrape by on too little. I would say $70 – $80 is a minimilist comfortable budget for a couple travelling around China and staying in double rooms. It’s surprising to hear that you can find meals for so cheap in Shanghai! Let us know your secret local spots! We go there often and would love to try some new street eats. Great post, it all sounds pretty reasonable to me, we had similar budgets to the countries we’ve been to. I was very surprised to find that China would be so much more expensive than Egypt, good to know! Great article. It will definitely help me in planning the upcoming trip in nov. after this semester ends. mate you visited India and Myanmar, but skipped Bangladesh (which is just in the middle of it). If you come to Dhaka, lemme know. It’s dirt cheap here as well. Cheers for the comment and happy travels to you! just to make sure, when you said ($), is it in USD? At the time of writing, the Canadian and US Dollar were equal. But, we were basing the figures on the money coming out of our account (which is in Canadian funds). Unfortunately, not yet. 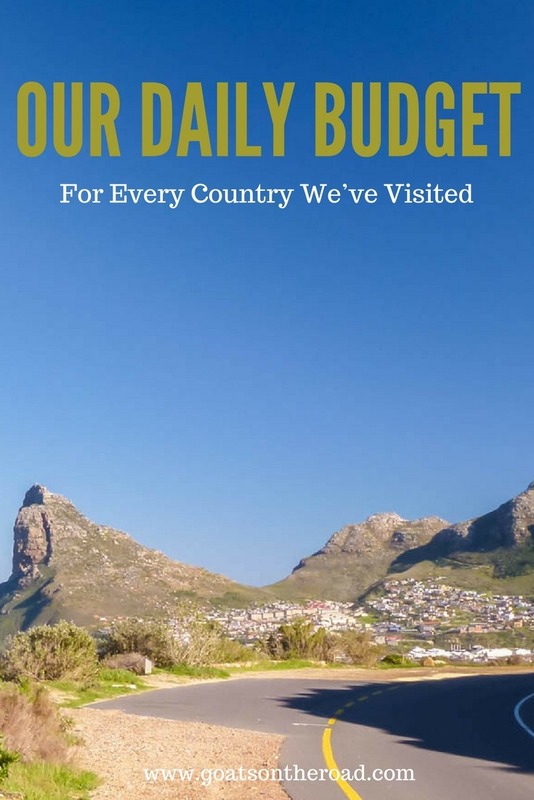 I guess this article should be titled “our daily budget for ALMOST every country we’ve visited!” We’ll be working on updating this really soon. In Kyrgyzstan we were at about $60, Uzbek was $70 (buy money on black market) and Tajik was about $75 (including driving Pamir Highway). These aren’t exact figures, but they’re close. Kyrgyz was the cheapest for sure. Hi guys, very useful article thank you! Just curious is this in Canadian dollars? My partner and I are planning a trip to India, Nepal and South East Asia next year. We have just been to Vietnam for a month earlier this year and I feel like that budget id pretty spot on! At the time of writing this article, the Canadian and US Dollar were pretty much equal. Now I would say that it’s in US Dollars! Thank you for confirming that our budget was pretty much spot on for Vietnam. Really appreciate that. I’m planning a solo RTW trip beginning in September and I am find your blog so helpful, especially regarding the less travelled parts of Eastern Europe/Africa so thanks a million!! What an amazing and detailed budget! Really appreciate you sharing. I am currently planning a 6 month SE Asia trip that will be happening next year, 2018. Any thoughts on an update to this budget, have costs in these countries increased? From what we’ve heard, prices are basically the same! Hi! I found your site researching for my trip to Colombia this summer. How much was your average cost in Colombia?